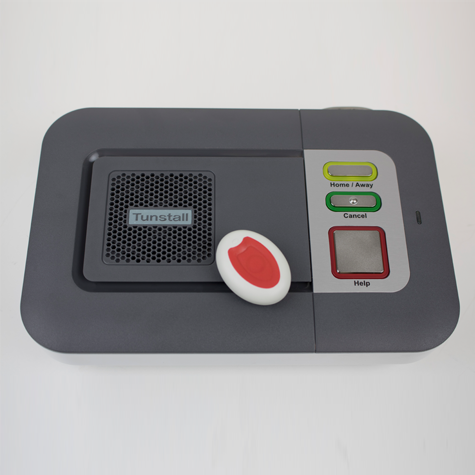 The Lifeline VI Alarm & Pendant is the latest telecare alarm technology manufactured by Tunstall. The package comes complete with everything you need to get started right away, and is easy to setup and test with a simple step by step guide provided inside. The compact and stylish alarm base comes in a standard grey and white colour scheme, with three buttons to the front which can show the unit’s status through different coloured LED lights. 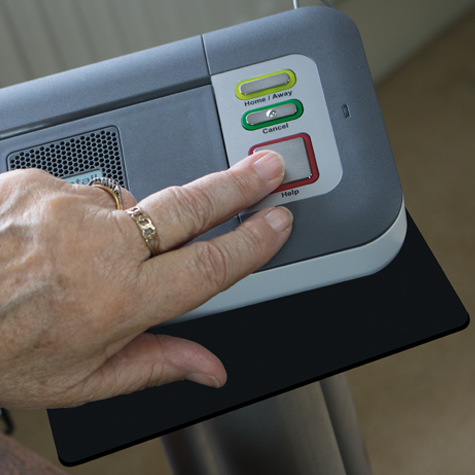 The speaker can be seen located to the front of the alarm base and the radio antenna and sockets hidden on the rear edge of the alarm so you can hide any wires feeding from the alarm out of sight. 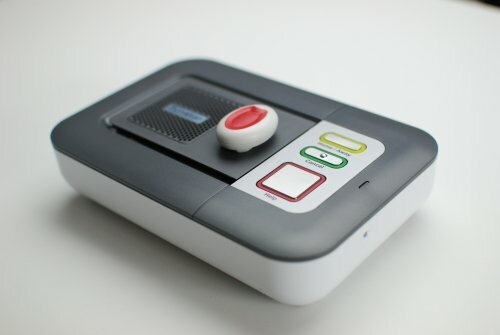 The Lifeline Vi home unit also has an integral temperature sensor that can monitor the environmental temperature in the room where the Lifeline is placed. The small, stylish, red and white MyAmie Pendant works remotely alongside the alarm base and is both waterproof, and features an auto low battery notification system. The pendant has a range of up to 100m so can be used to generate help anywhere in the home. It also comes with different wearer attachments, so can be worn on the wrist, around the neck or attached to a belt for easy accessibility to press in an emergency. 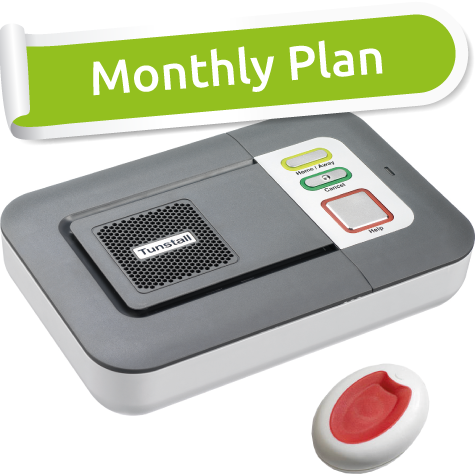 With the Monthly plan you will be initially covered for 3 months monitoring from our expert 24/7 care team if the alarm is activated so there are no worries of having to renew your plan each month! You can purchase an additional MyAmie Pendant for a second user in the same property for an additional £5 per month. 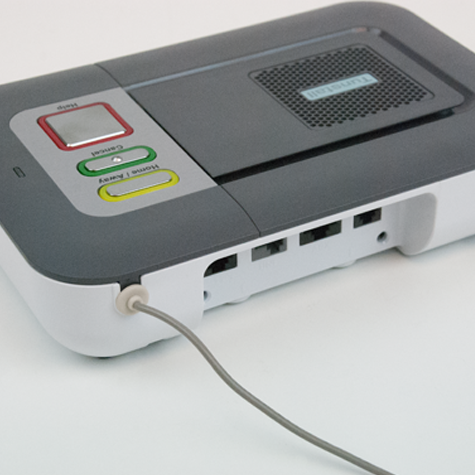 This saves you the cost of having two separate alarms as one Lifeline Vi base unit can be shared between two people. If you are looking to purchase multiple alarm systems, please give our friendly Customer Service team a call on Freephone 0800 999 0400 as we can offer a discount for bulk orders. If you or the person you are purchasing for is chronically sick or disabled you do not have to pay VAT for this service. If you select yes for VAT exemption using the drop down on the right hand side of this page no VAT will be added to your purchase price. You will need to complete a short VAT relief form which you can do by phoning Lifeline24 on 0800 999 0400. Alternatively you can simply fill in and return the VAT relief form which we will include in your customer welcome pack. If you do not qualify for VAT exemption, please select no on the right hand side of this page instead. For further information on VAT Exemption please visit our blog. Alternatively, you can find out more on the HMRC website. All the equipment included within the Lifeline VI Alarm & Pendant package is guaranteed for life.